Once again, Alexander McQueen combines form and function to create a memorable design. 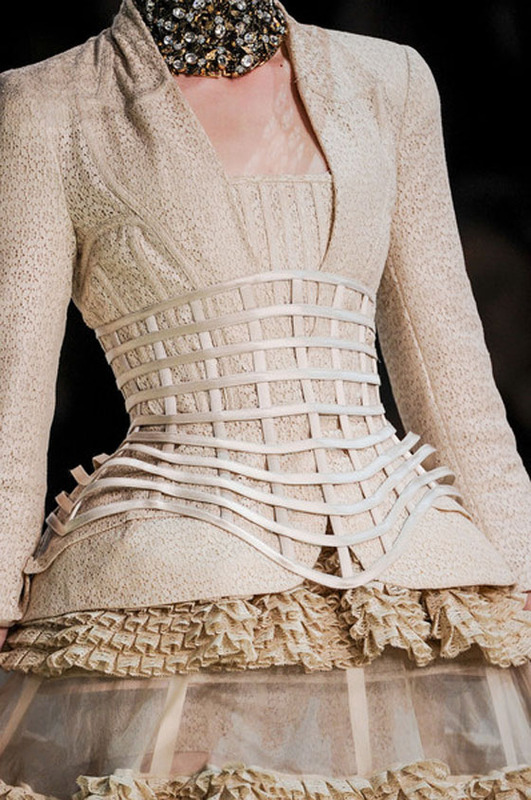 This elegant ensemble takes the feminine corset, typically hidden, and moves it to the forefront. This skeleton of sorts creates shape and pattern while supporting the figure externally. This idea of showcasing the structure on the outside takes an otherwise ordinary fashion and adds an element of interest and wonder. When looking at design, whether architectural or fashion, ask yourself- can the skeleton become the focal point?